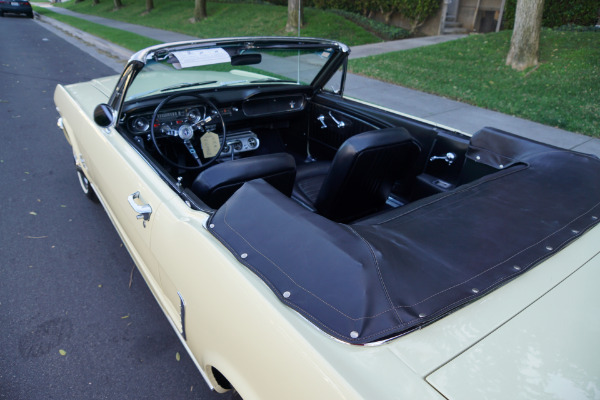 The car was originally purchased in 1965 by Stan Hyman for his wife Molly and the car is something of an oddity having been built at the San Jose plant in February of 1965 but with 64 1/2 window cranks and door handles. 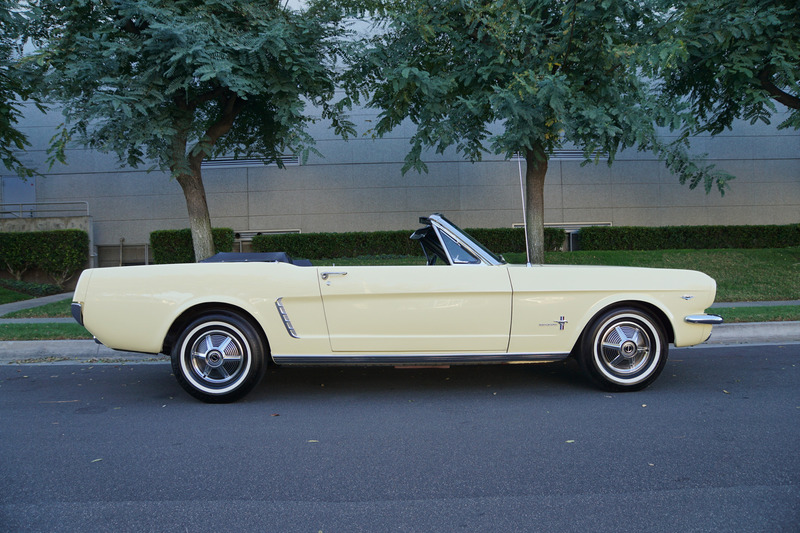 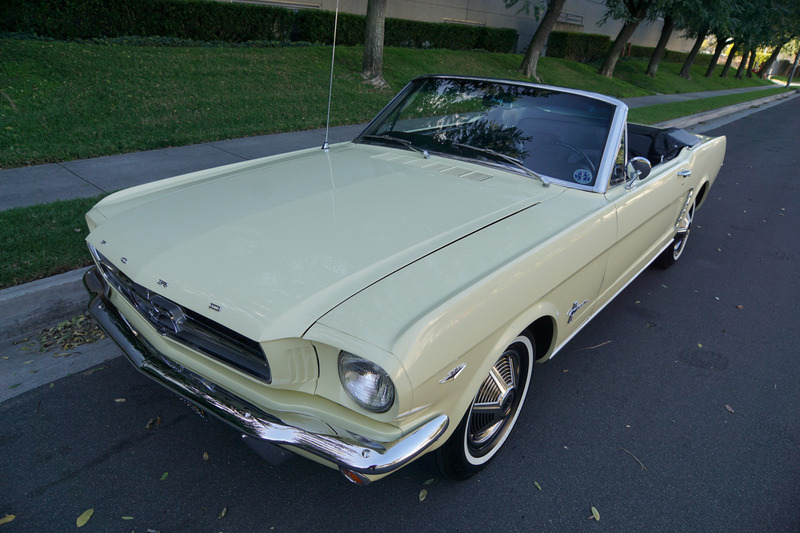 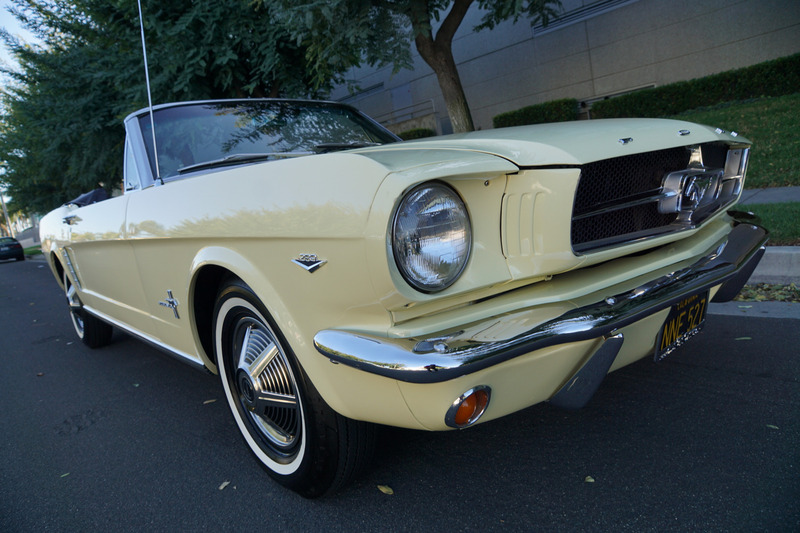 It boasts it's original 'Springtime Yellow' color paint with a 'Black Crinkle Vinyl' standard interior and was built on 2/27/1965 with the C4 automatic transmission and conventional 3.00:1 axle and originally sold in Los Angeles, CA at 'Ralph Williams Ford' of Encino, CA and this is a car that has spent its whole life garaged in southern California and is a true time capsule which was stunningly restored to a concours level by MCA judges over several years finally being finished in 2012! 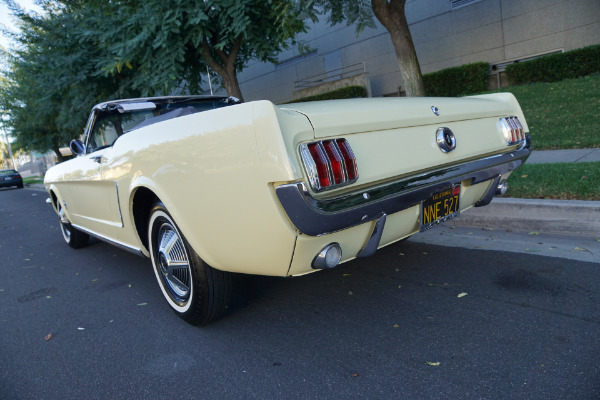 It was recently acquired from the permanent collection of the renown 'Murphy Auto Museum' of Oxnard, CA after winning numerous 'Trailered Division' First Place Awards at several national shows and concours events such as the 'Biloxi MCA Grand National' and being featured in several renown Mustang publications. 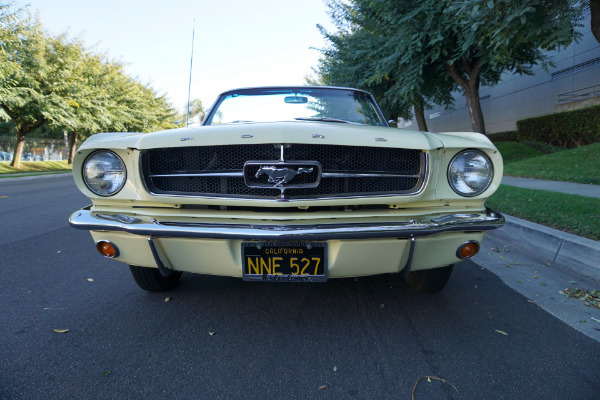 The restoration included such fine details as original fan belts that were debossed (the reproductions are ink stamped) & reproduced ink stamps for the date codes and oil filter! Ford's biggest success of the sixties and the originator of the 'Pony car' concept was essentially a sporty compact car but with a now legendary long hood and short deck proportions, built on Falcon and Fairlane chassis and drive-train components, the Ford Mustang was introduced in April 1964 as '65 models and within a year became the fastest selling car of all time; with these early production cars now carrying special favor! The upgraded V8 from the Falcon six cylinder engine was the 260 c.i. 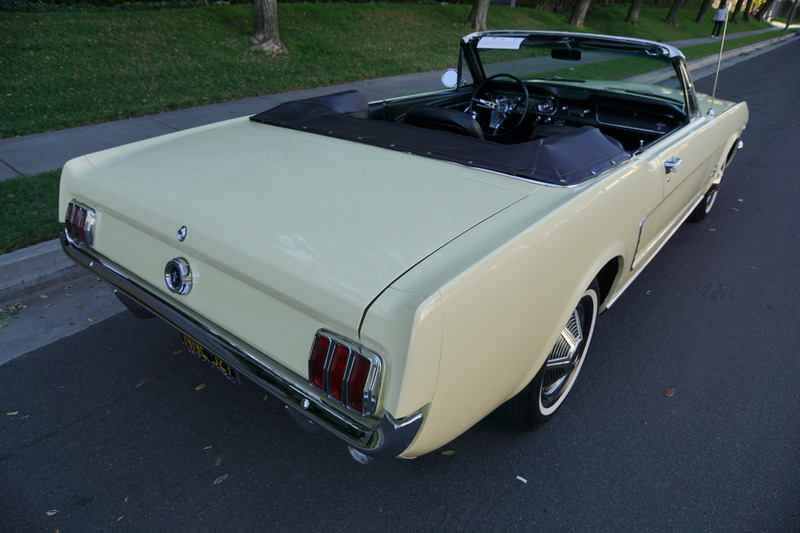 V8 produced on the same assembly line with other 1964 Fords, the early models were titled as 1965 models although they were actually from the 1964 production era. 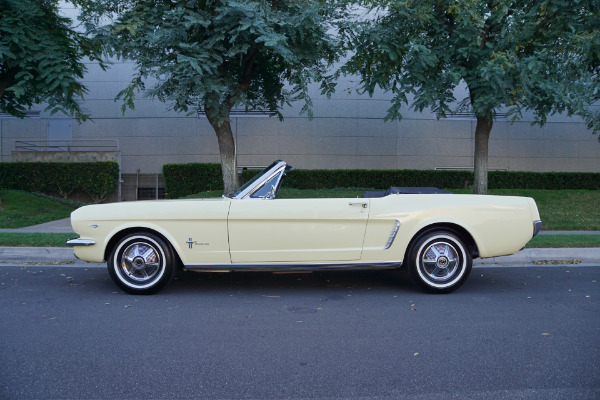 After September 1964 the 260 V8 was dropped in favor of the larger 289 V8 like this particular car which actually boasts the high performance 'A' code 289/225HP 4 barrel V8! 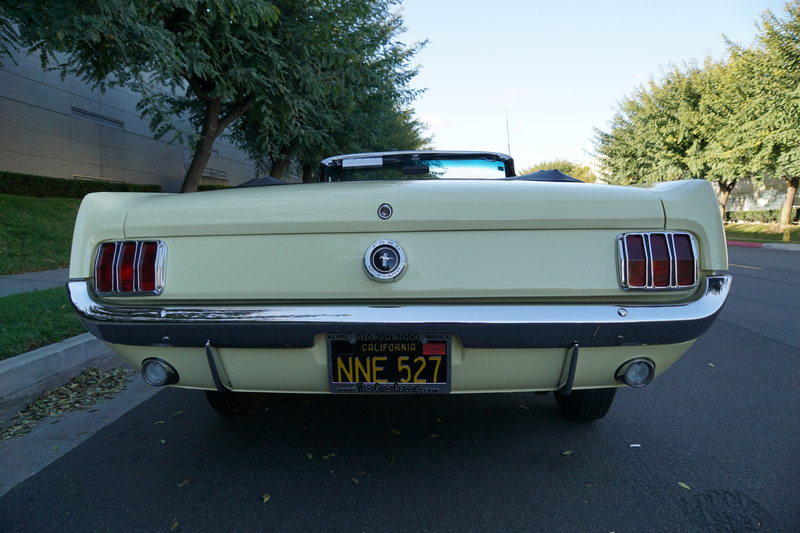 As previously stated, the car was recently purchased from the 'Murphy Auto Museum' and is an obviously always well maintained, garaged and cherished original 'Black License Plate' California car since new. 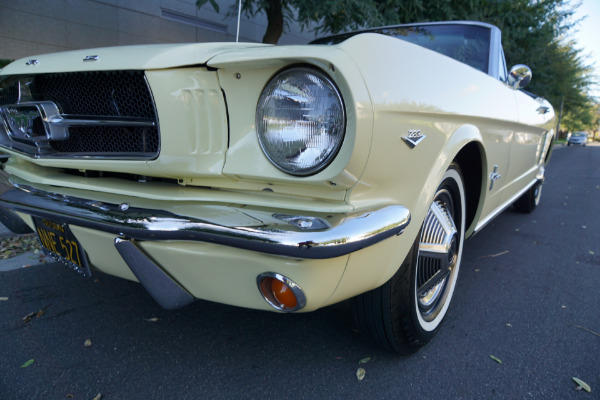 This car must be driven to be fully appreciated - the original engine was rebuilt at around 90K miles and is extremely strong and responsive and the automatic transmission shifts smoothly through the gears and the engine temperature always remains cool. 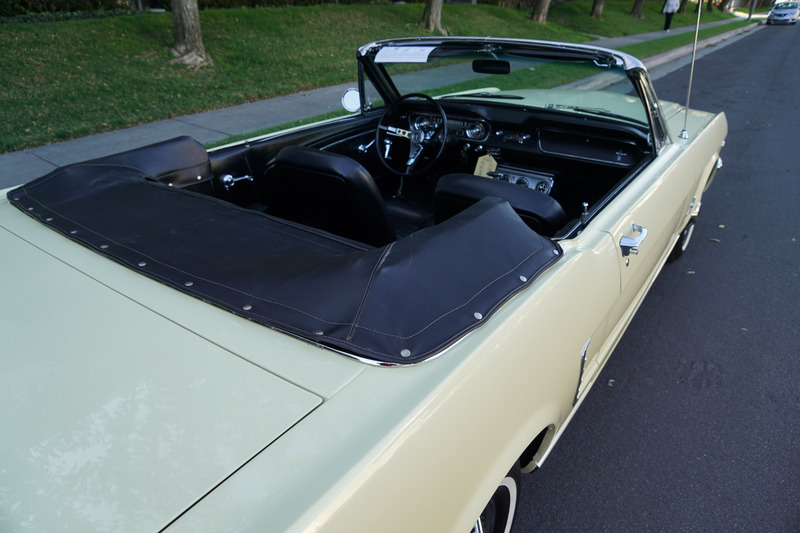 The car is simply a superb fully restored 'trailer queen' with it's original factory 'Springtime Yellow' color paint and Black 'Crinkle Vinyl' standard interior! 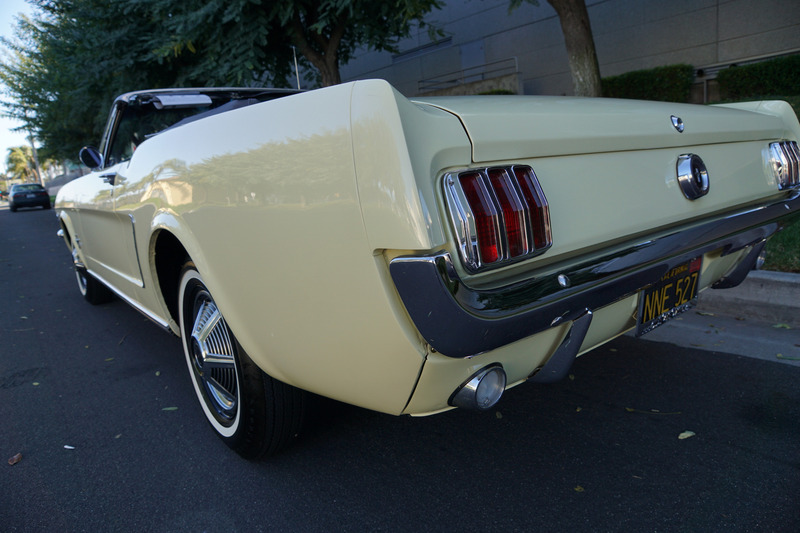 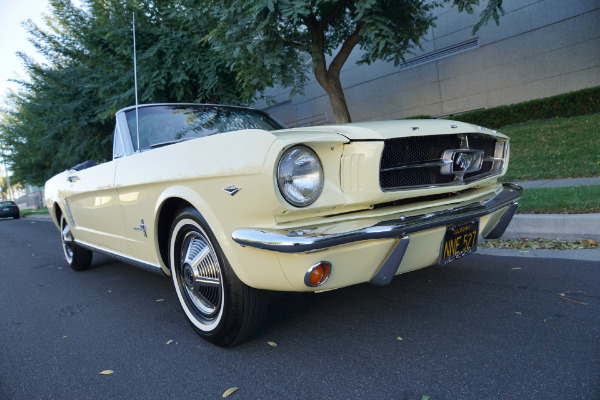 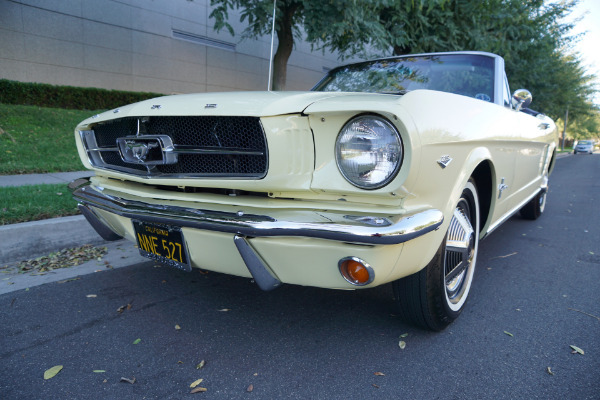 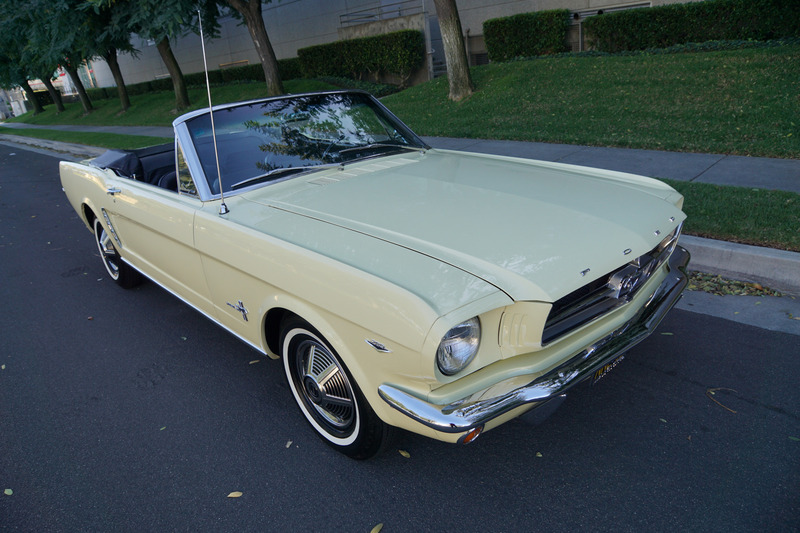 This is one very superb example of this very collectible and desirable early production example of the legendary Ford Mustang in turn-key ready daily appreciating, daily driving and daily head-turning condition! 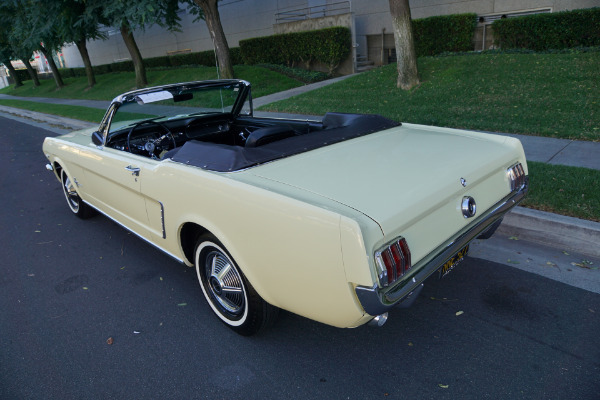 You will look long and hard to find a finer fully restored example of this highly sought after original southern California 'Black license plate' 1965 Ford Mustang Convertible with its original high performance 289 'A' code V8 engine and the recipient of a concours quality restoration over several years by its original California owners before being acquired by a local museum for future posterity!